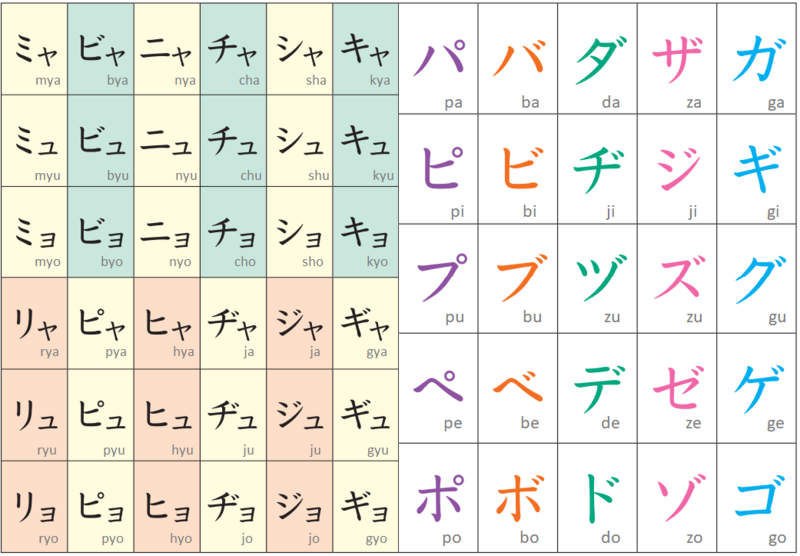 In this extended katakana chart, some of them have the same sounds but are used differently, such as ジ／ヂ (ji) and ジュ／ヂュ (ju). They are not interchangeable. 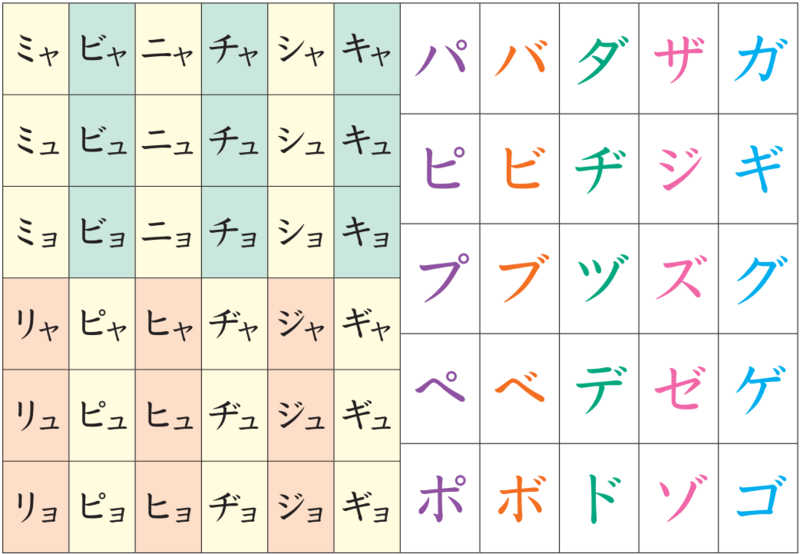 Make sureャュョ (ya, yu, yo) on the left side of the chart are written smaller when you practice writing. This ッ (tsu) is smaller than the full size ツ (tsu). When there is a small ッ (tsu) between two katakana, you have to pause slightly between them when pronouncing it. Typing double consonants will produce small small ッ (tsu). a short line (ー) following the direction of the text, horizontal or vertical. If you have any questions, please comment. If you have the answers or advice to the other users, please help each other and build our friendly community here. Thank you. ありがとう！I still need to get the Katakana cemented into my brain, so this is very helpful! And I have a question: is ロボット a loan word from Czech or English? English would seem more likely, I feel. The word was coined in Czech in 1921, but first attested in English only two years later in 1923 and quickly entered common usage. Unless there was some notable cultural or technological exchange between Japan and (then) Czechoslovakia during the first half of the 20th century (which, whilst not impossible, I have never heard of), it seems considerably less probable that the Japanese encountered the word through Czech. It would help to know when the first attestation in Japanese dates from. Thanks garpike for your thoughtful insight!